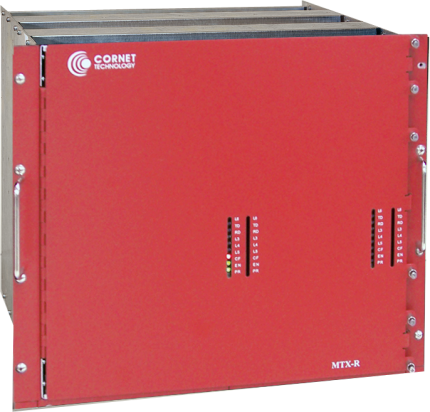 The Cornet Technology, Inc. MTX-R Split Engine combines the functionality of the Red Conference (RCS) and Red Digital (RDS) switch into a single compact package that is ideal for applications where space is limited. 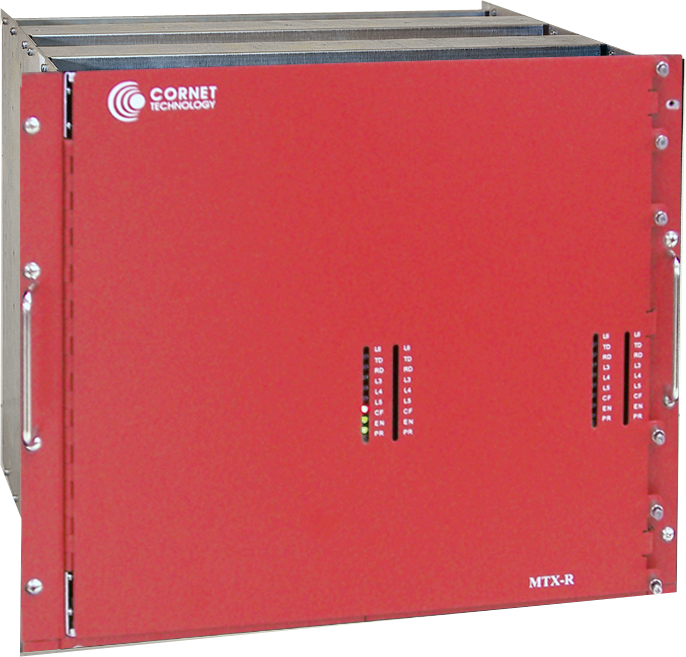 This combined switch fits into a standard ruggedized military chassis and will hold any combination of nine RCS style I/O cards and five RDS style I/O cards. All RCS and RDS functions are supported. The switch is easily VoIP upgradable. 3U (19" W x 5.25" H x 11" D); 30 lbs.